With the anticipation eqivilant of a little kid being told they were going to Disneyland, my eyes read the e.mail notification 80mph from Fieldstone Orchards that the blackberries were ripe and ready for picking. 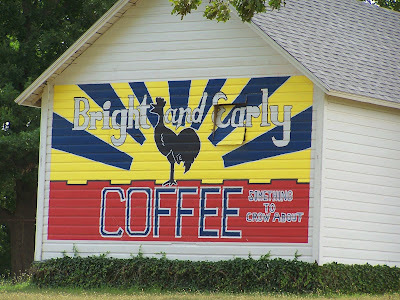 I forwarded the e.mail to Dan-the-Man and begged him that we could forego all plans and be on the road at the crack of dawn to be at the gates of berry farm. Just look at the size of these beauties! Have you ever seen anything so gianormous in all your life? Hate to tell you all this, but they even taste better than you can imagine...pure sweet heaven bursting in your mouth with each bite. We ended up picking a total of 18 pounds of blackberries. Let me tell you, my food saver machine and I were tight in the kitchen for the rest of the night. We have enough berries to last for many, many cobblers. and just when you think it can't get any better.....you find a great little winery out on a lovely gravel country road, and you pinch yourself! 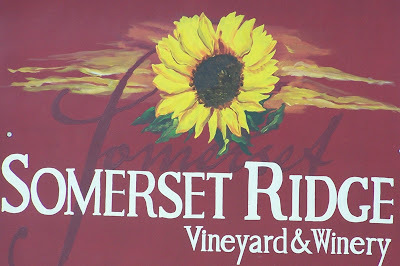 Somerset Ridge Vineyard & Winery is a great little winery with the nicest owners you could ever meet. They have an inviting tasting room, and make you feel like you've been friends for years as they take you through a sampling of all of their wonderful wines. Yes, I know.....some of you are questioning "What??? ?Great wine in Kansas?????" YES!!! It is true. Even my well traveled best friend Cindy, who lives in California, who has a very good nose for fine wine, bought a case...YES A CASE of their Chardonel and had it shipped home! Most people are blogging about wonderful french grain sack pillows, or how wonderful it was meeting the Farm Chicks at the Antique show....and then there's me. 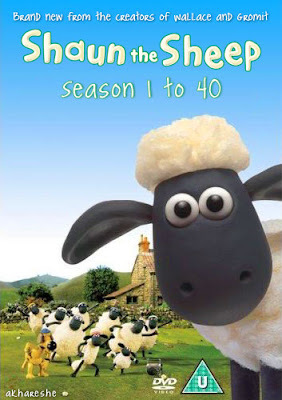 Don't get me wrong, I want to own a French grain sack pillow and meet the Farm Chicks, but my latest addiction is buying dvd after dvd of Shaun the Sheep. Now you may be familiar with him if you have little ones.....or if you happen to love Wallace and Gromit (which I do...alot). We celebrated Dan-the-Man's birthday last Thursday and after eating dinner, cake and presents forced everyone to watch one of the dvd's I had. There's no talking, just antics. There's a farmer who is clueless what his sheep herding dog Bitzer is up to when he should be minding his flock of sheep. I guess it's the kid in me, but I have a new love. I've found that Target sells a few story lines you can find in the kids section, and as always Amazon has a great selection. I'll be the one in the living room with my gnome p.j. 's on and a bowl of popcorn watching Shaun if you are wondering what I'm up to at night. I received an invitation from my blog friend Martha to come down for a spell as her town was hosting a Garden Tour. Martha and I have been blog friends, and have enjoyed e.mailing with each other for some time now, so I couldn't turn down an opportunity to finally meet her and her kind husband. I arrived to Linderhof and the first female I saw asked "Are you Martha?" and was told Martha was inside. We went around back where we met her kind husband Jim who had settled in for a much deserved rest in a patio chair and was delighted to be greeting all the folks who were on the garden tour. He told me Martha would be out in a moment. I enjoyed visiting with him, as he had a very easy going nature. It was surreal to be in their garden and see their home after many visits to Martha's blog. When Martha came out we immediately gave each other a hug, and I was so happy to get to meet her in person. She invited us to get a glass of herbal iced tea, and had made delicious homemade shortbread cookies that had lavender in them. She said after we had a chance to look around, she would take me on a tour inside her home. A beautiful angel in the garden with bird seed to treat all the feathered friends that come over. Hand painted Italian wallpaper....simple amazing! I've never seen anything so beautiful! Martha and her hubby have a incredible collection of lovely antiques that they have collected from all over the world! A favorite in her garden...a English Cottage special made for the fairies that come and visit! The warm welcoming sign on the front entry. So many unique things at every corner of their incredible home. 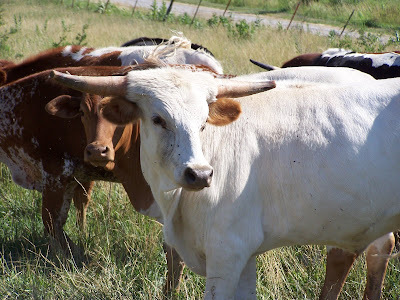 If you haven't been over to see Martha's blog you are in for a treat. She is an incredible cook, master gardener, book-aholic, and lives a very full life in her community. I encourage you my fellow bloggers that if you have chance to meet someone who you have befriended through blogging, you should take every advantage of meeting them in person. They are some of the nicest people I have come to know! Thank you Martha and Jim for opening up your home. Look forward to seeing you both again soon! I couldn't squeeze in all the pictures in just one post, so bear with me, I am doing it in two sections. It's hard to convey the feeling of having it go from pouring rain, to sunshine and humidity, but that's Kansas for you. Dan-the-Man always says "If you don't like the weather, just wait 5 minutes" Fell in love with this chair....anything weather worn with nostalgia is always nice to see out in a garden. Love the faded turquoise blue. dragonflies were flitting around from one flowers to the next. I loved this old wrought iron gate piece with a garden basket attached. The colors were so much more vibrant than my little camera that could can show you though! Neat idea for a bird bath, plant with flowers to switch things up a bit! Throwing caution to the wind, last Friday night we put the top down on our convertible bug and drove up Hwy 169 to Justus Drugstore, without making a reservation. This is Smithville after all, small town USA north of Kansas City. We were greeted by the hostess and with my tail in between my legs, I confessed we didn't make a reservation, and what were the chances they would have us for the evening. She told us to have a seat at the bar, and she would she what she could do, as they had a full schedule. We snuggled into the bar, taking in the ambiance, wondering how a hip restaurant like this could make it in a small country town. I felt like I was up in Napa. One glance at the wine list told me I should exchange Napa for Tuscany or Provence. The bartenders were great, and just as we started enjoying our cocktail, the hostess announced she had a table for us. The kitchen is wide open and I noticed that every employee would frequently stop by a faucet and wash their hands randomly and frequently...nice. We had a great waitress that gave us a heads up that everything was prepared fresh, so things took a bit to come out to the table and recommended an appetizer to satisfy our appetites until our entrees would be served. I appreciated the suggestion and knew we should settle in and prepare for what I was already anticipating would be a good meal. 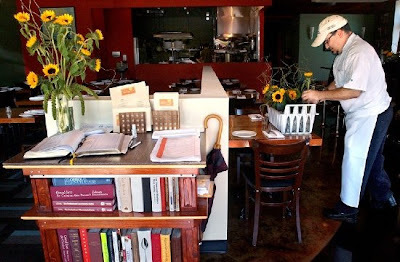 I noticed on the back of the menu all the local farms they restaurant supported, and having just read the book SLOW FOOD, appreciated anyone who "got" the notion of supporting local farmers who grew or raised a great product and incorporated it into their menu. After ordering, and before our appetizer came out, our waitress brought us out a little nosh. A crostini sliced impossible thin, with a layer of fig jam, the creamiest liver pate', with a sauce and herbs to die for. That set the tone for the whole evening. I'm not going to bore you with a play by play of each thing we ordered, but instead invite you to try the restaurant for yourself. All I can say is each and every dish had a melody of flavors that didn't overpower one taste over the other. There was unusual combinations that surprised your mouth with every bite. After dessert and individual french pressed coffee, our waitress brought us out a petite glass of moscato, another wonderful touch. I told her to tell everyone in the kitchen I wished I could have given them ALL a big hug. By far the best meal I had ever had in my life! I can't wait to get back up there again....and this time I will call and make a reservation. http://www.drugstorerestaurant.com/ see what all the fuss is about! 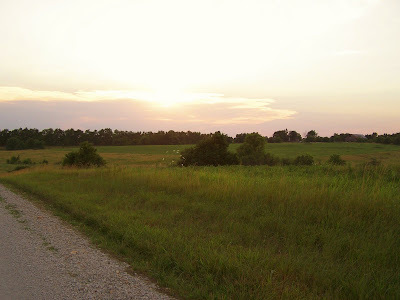 One of my very favorite things to do in the whole wide world is to go on country drives. 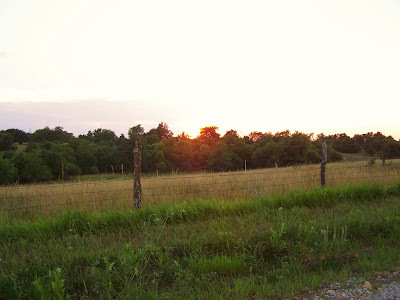 I love the peace and serenity of being away from everything....no traffic, telephones, television, just quiet. I love the smells, listening to the birds chirp, looking at old barns and daydreaming. "I think my right side is my better side, how's this?" It's nice when you are away from your normal pattern of thinking....the continual chatter that goes on in our mind "I need to do another load of laundry, geez did I forget to pick up 409 at the store, I have to remember to mail that bill tomorrow, I've got to remember to get that cob web, I can't believe it's time service my car again...."blah, blah, blah. When I am out in the country my thoughts are lovely, wonderful, I could swim in them for hours...I think about what jam I want to make, what flowers I want to grow in my garden, how I want to try make a cherry clafoutis (sp? 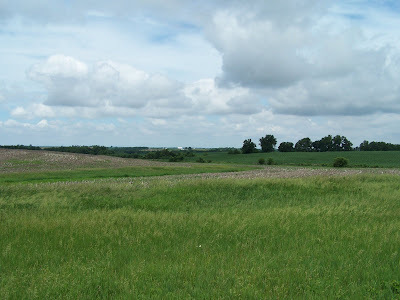 ), what my country dream home would be like, how amazing dragonflies wings are...I marvel at everything God has created and good the sun feels...how I can't wait to have that good corn on cob with melted butter and salt. When does that you pick'em farm open up? This is an easy crowd pleaser that always taste great. So simple and easy there are only a few steps to make this nice appetizer. virgin olive oil and toast in oven until golden...about 7-10 minutes. some dashes of balsamic vinegar to the mix. Add salt & pepper to taste. After crostini had cooled, spread with goat cheese and add tomato mixture. Goes really nice with a chilled glass of your favorite wine, someone you love and watching the sunset out in the backyard. Make sure you have the bird feeder filled and fresh water in the bird bath for best results! :) Enjoy!